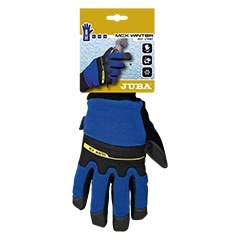 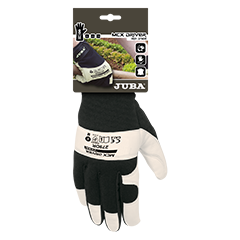 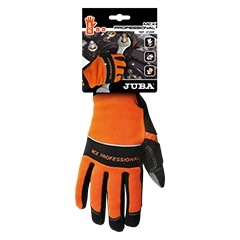 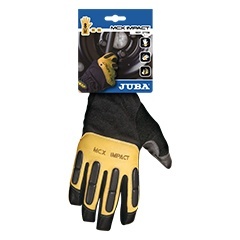 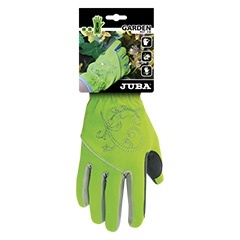 Gloves for motorised tools handling, lawn mowers, hedge clippers, blowers, for greater hand comfort, with protection against impacts on knuckles and fingers. 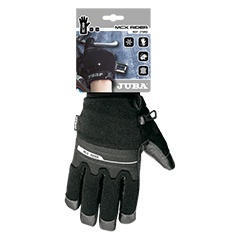 Synthetic leather glove on palm and Spandex® back with addition reinforcement. 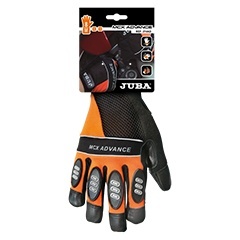 Synthetic leather palm, Spandex® back and Gelfoam® anti-vibration protection on palm and fingers.